Redmond, Wash., USA - August 29, 2013 - Microsoft Corp. today announced the appointment of Phil Sorgen as corporate vice president of the company's Worldwide Partner Group. Sorgen will manage a team of sales and marketing professionals tasked with helping Microsoft's 640,000-member-strong partner community capitalize on new areas of growth in cloud computing, mobility, big data and enterprise social technologies. Company veteran successfully led U.S. small and midsize business and partner organization. 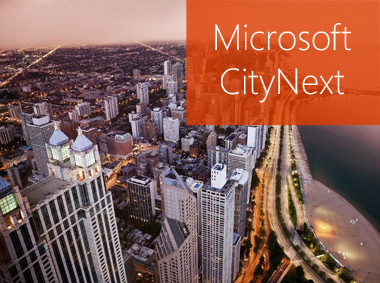 Microsoft’s CityNext initiative empowers cities to make the most of existing investments and find the right combination of solutions, applications and programs to transform their cities. Navigant Research forecasts that the smart city technology market will grow from $6.1 billion in 2012 to $20.2 billion in 2020, generating a total revenue of $117.3 billion over the next seven years. Microsoft Corp. today announced the appointment of Phil Sorgen as corporate vice president of the company’s Worldwide Partner Group. Sorgen will manage a team of sales and marketing professionals tasked with helping Microsoft’s 640,000-member-strong partner community capitalize on new areas of growth in cloud computing, mobility, big data and enterprise social technologies. A 17-year veteran of Microsoft, Sorgen previously led the company’s U.S. Small and Midmarket Solutions and Partners (SMS&P) Group, which provided Microsoft technology solutions for more than 20 million small and midsized businesses in the United States. Before this position, he served as president of Microsoft Canada for 3 1/2 years. 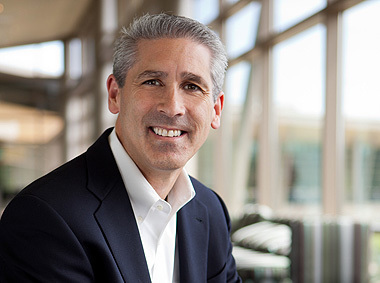 Phil Sorgen, new corporate vice president of the company’s Worldwide Partner Group, Microsoft. “Our partner ecosystem is a key asset to Microsoft and carries tremendous strategic importance to the company,” said Vahé Torossian, corporate vice president of worldwide SMS&P. “Phil’s rich leadership experience in working with our customers and partners in the United States and Canada makes him an ideal fit to help our partners drive new opportunities as Microsoft transforms into a company delivering devices and high-value cloud services,” Torossian said. Sorgen will officially assume his new role on Sept. 1, 2013, reporting to Torossian. He replaces Corporate Vice President Jon Roskill, who served for three years as channel chief.